There are three basic types of invoices that are commonly used today - Service Invoice, Sales Invoice, and a simple Generic Invoice. These invoice templates, available below for download, will guide you on how to create your own invoice, so you can send an invoice to client and get paid for your work. Let's take a look at the different types of invoices and learn how to create an invoice. You can download our free invoice templates below and use them for your business, or create your own invoice by referring to these invoice templates. A service invoice is used whenever you provide a service to someone for a fee. Typically, most invoices for services include rates that are charged by the hour, but this may differ depending on the service and type of work undertaken. Sometimes, you can also create a service invoice with a flat fee for your services. You can edit the PDF using PDF Expert, the best PDF Editor app for Mac. 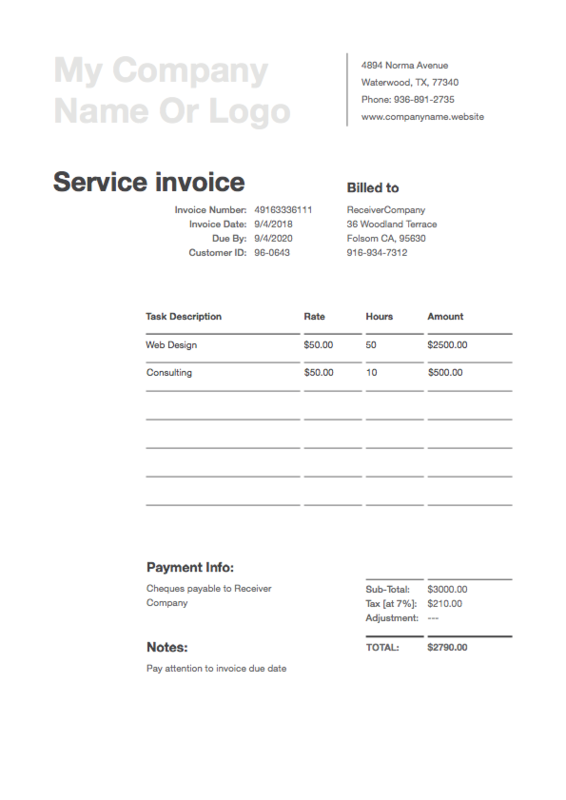 Using PDF Expert, you can add your own details and use this service invoice design for your own needs. As sales invoice is used whenever you are selling goods or products to someone. If you are in the business of selling tangible goods, irrespective of the size or weight of the item, you should be using a sales invoice for this purpose. It is often required to attach a sales invoice to the product or goods, if you need to ship the items from one place to another. You can edit the PDF using PDF Expert, the best PDF Editor app for Mac. Using PDF Expert, you can add your own details and use this sales invoice design for your own needs. For cases where neither the sales invoice template or the service invoice template don't work, you can use this generic simple invoice template for your needs. The generic invoice template can be used for most use cases, including any goods or services that you deal with. We recommend using the sales and service invoice above wherever possible, since each invoice template has specific fields for that purpose. However, if you are looking for a simple invoice template to build upon, here's the best template for you. You can edit the PDF using PDF Expert, the best PDF Editor app for Mac. 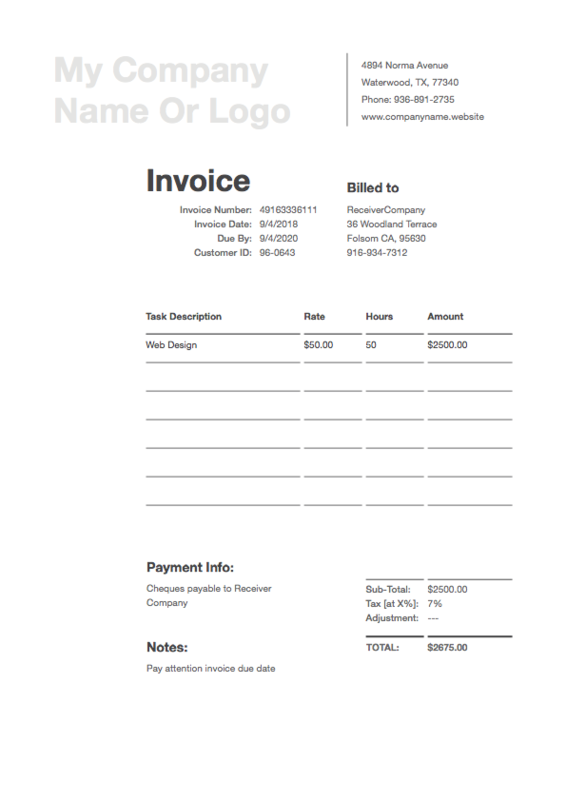 Using PDF Expert, you can add your own details and use this generic simple invoice design for your own needs.